Last covered a month ago, myTube! 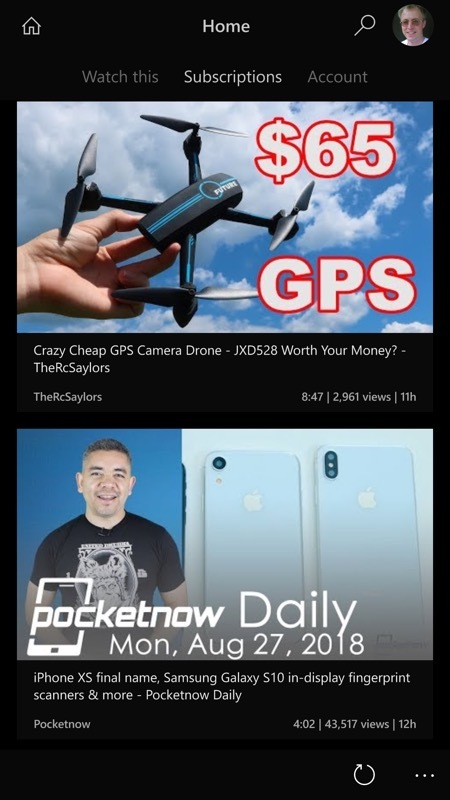 UWP goes from strength to strength as the premier YouTube client on Windows 10 Mobile. Here are details of today's big v3.3.7 update, straight from the developer. Highlights are a 'true black' theme and a multitude of playback rate options. 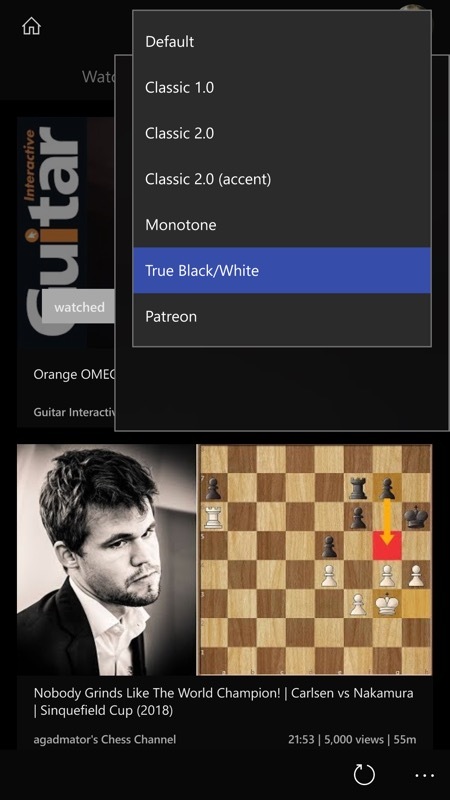 A "True Black/White" color scheme has been added, which gives the app a completely black background with the dark theme. It looks especially great on AMOLED displays and TVs! The 0.75x playback rate has been added, so the app's playback rate options now match what is available on YouTube. Your selected playback rate will now persist between videos, instead of resetting back to 1.0x each time a new video is loaded. Additionally, variable playback rate support has been added to the app's web player, meaning you can now set the playback rate in live videos. 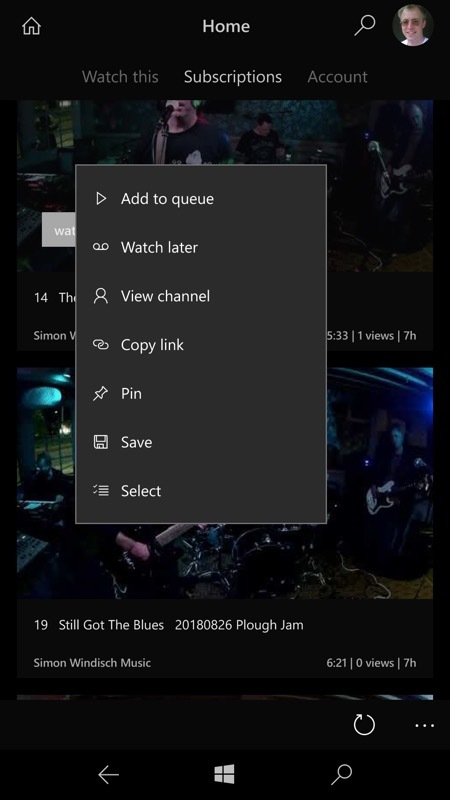 A "Copy link" context menu option has been added to playlist and channel thumbnails. This makes it easier to share these items with others. A "Pin" option has been added to the thumbnails as well, so playlists and channels can be pinned without needing to be opened. 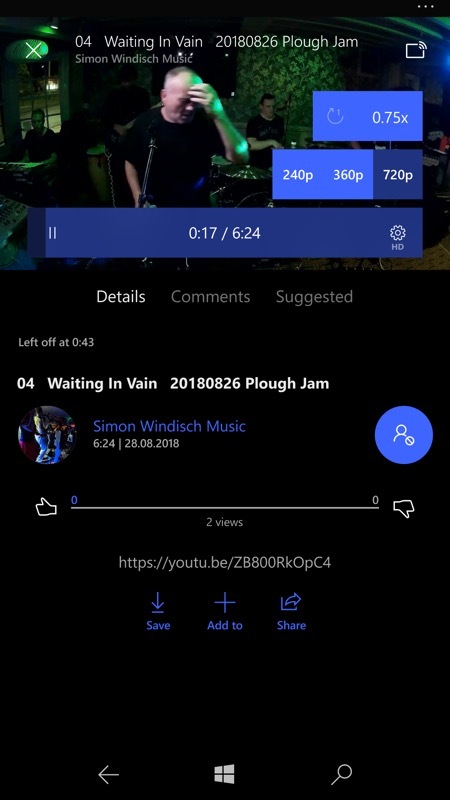 Playing around with the theme options in the latest myTube UWP - 'true black' works well on AMOLED screens, of course! Playing with playback rate options - you toggle through all the options, including - as here - 0.75x, and the speed is remembered for future videos until you change it back; (right) long pressing on a video thumbnail lets you pin its channel to your Start screen or Copy a direct Link to it for pasting into an email or social post.